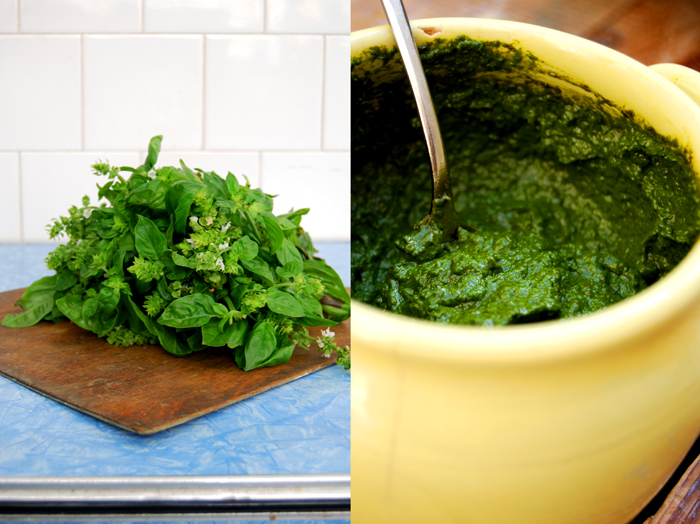 This pesto is as concentrated as basil pesto can be! I had two big bouquets of this aromatic herb on the table filling the air in the kitchen with the most beautiful smell – fresh, sweet and green! After half an hour of picking the leaves off the stems, I got rewarded with a big pile ready to be turned into a pesto! The weight was about 150g (5.5 ounces), a Mediterranean luxury I can only dream of in the city. I think I would have to buy 20 pots of basil at home to gather this amount! 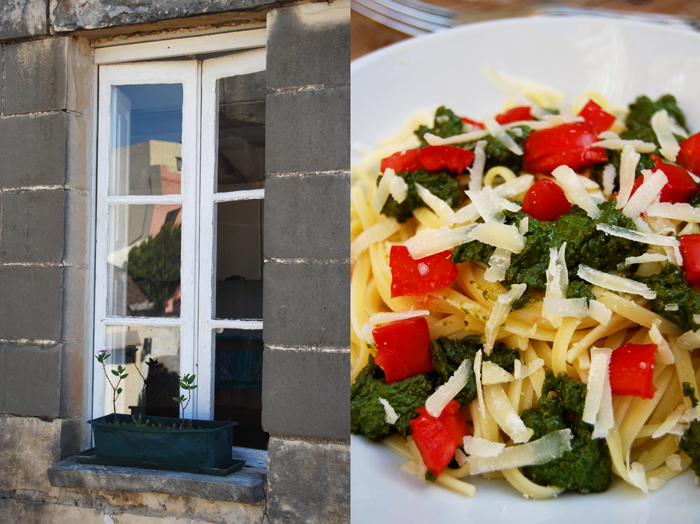 Here in Malta I can create a luscious pesto which is richer than any pesto I’ve ever eaten before. It’s more of a spread than an oily sauce! 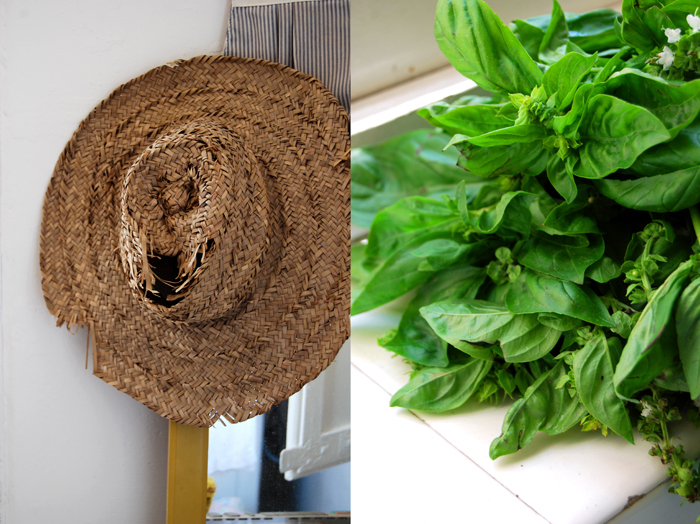 The recipe is a classic, I mix the herb with pine nuts, parmesan, garlic, olive oil and a bit of salt, but the amount of basil leaves and their intense taste make the difference. Herbs that grow in pots don’t develop such a strong aroma, the right soil and hours of sunshine, that’s what you taste in the end. I often chop some fresh tomatoes into this dish, I like the freshness they add. Sometimes I mix in a few sautéed slices of zucchini but the red fruit is still my favourite! Cook the pasta in lots of salted water, al dente. Mix the basil, pine nuts, garlic, parmesan and olive oil in a blender and season with salt to taste. 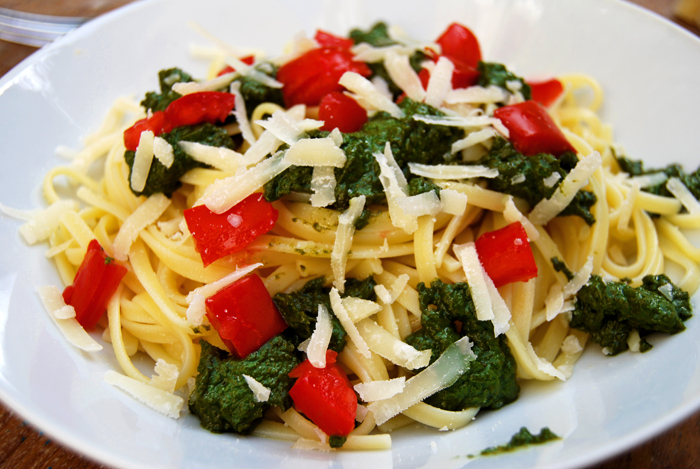 Divide the hot pasta between the plates and add a dollop of pesto on top. Sprinkle with the tomatoes, parmesan and crushed pepper, serve immediately. That pesto looks wonderfully flavorful. 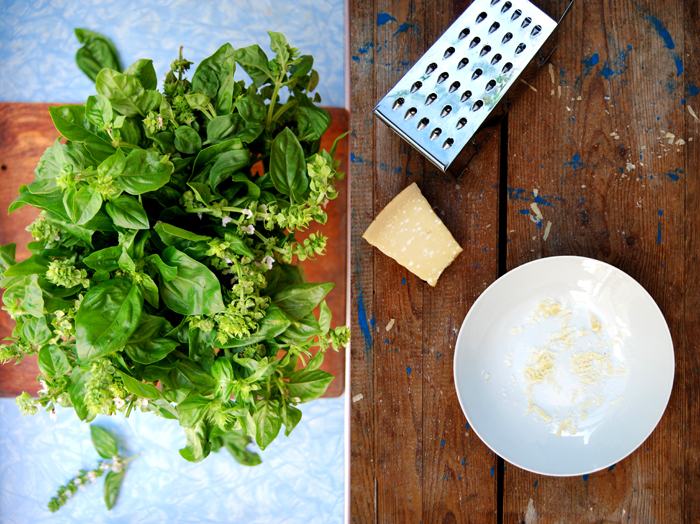 Do you also use the flowers of the basil plant in the pesto? I am so enjoying your photos. Thanks for sharing your holiday with me. Hi Marigene, it’s so much fun to share my view on Malta, I’m happy you enjoy it as much as I do! 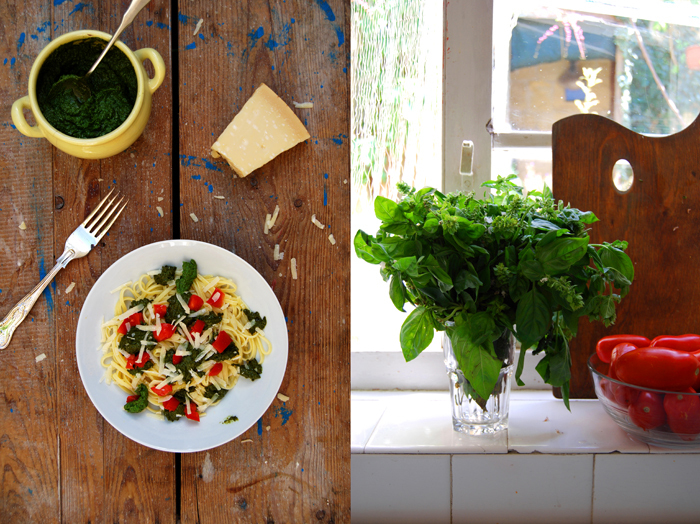 I just use the basil leaves for the pesto, not the flowers. 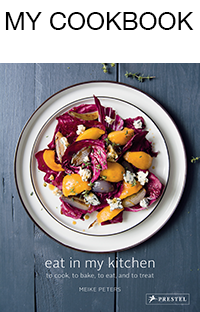 One of my favourite summer recipes…and it’s so easy to do! That’s true Jessica, it’s the perfect summer dish! I could eat it every week!